It’s officially the fall season and colder temperatures and winter weather are just around the corner. With the winter months rapidly approaching, we have put together five quick and easy tips to help you keep the cold air out and the warm air in this season. Your home is one of your most precious investments and these suggestions will save you save time, energy and money this winter. Trim any low hanging tree branches near your house, as ice and snow can weigh them down. Use insulating pipe wrap on your pipes to keep them functioning in freezing temperatures and to help minimize the cost of hot water. Identify trouble spots in your home by wetting your finger and moving it along the area in question. Shine a flashlight around the area to see if the light shines through. 3. Seal Off Air Leaks According to the U.S. Department of Energy, simple air leaks can zap home energy by 5-30%. 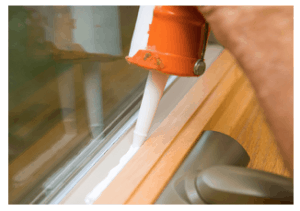 Use weather-stripping or caulk to fill in the gaps near doors and windows. Use caulking on baseboard and trim. Remember to insulate outlets and seal any hidden air leaks in the attic. Install inexpensive draft stoppers under your doors. Replace your furnace filters monthly during the heating season. Have your fireplace inspected and cleaned, if applicable. 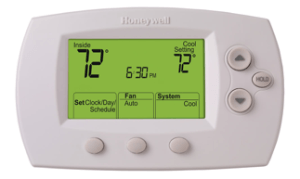 Consider installing a programmable thermostat so that it remembers when to turn itself down so you don’t have to. 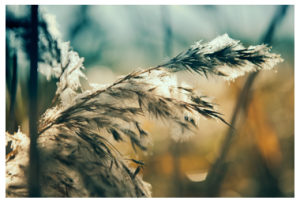 Run fans in reverse throughout the colder months, as this can cut your heating costs by up to 10%. Switching your fan to a clockwise rotation makes the room warmer because the air near the ceiling is circulated back into the living space. Check for flaking paint and ensure that all raw edges of wood have been covered with paint or stain. This is an inexpensive way to prevent very expensive repairs. Check all caulking on the exterior of your home. Be sure to check around windows and doors and around all penetrations into your crawlspace or exterior walls. Check that shutters, siding, and all other exterior materials are secure. Clean your gutters once most of the trees are bare. This can save you lots of headaches later. Remove all debris from your roof and replace any loose shingles. Implementing the above suggestions will certainly help you save on energy bills as the colder temperatures and winter weather settle in. If life’s other commitments have your schedule bogged down, though, Fineline Construction is here to help. Contact us today to discuss our home maintenance plans. We will ensure that both your family and your home stay warm and cozy throughout the colder months ahead!